Gameplay-facilitating trainer for My Time at Portia . This trainer may not necessarily work with your copy of the game. 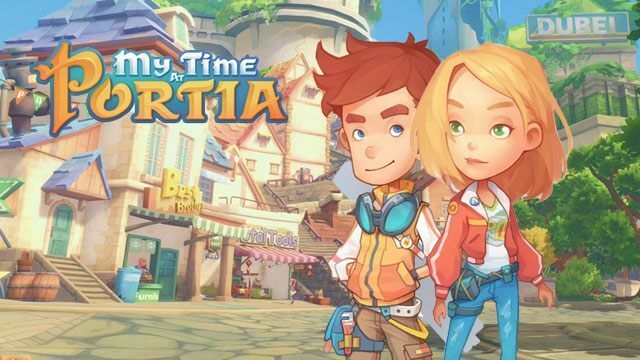 Available here: My Time at Portia Trainer. To avoid game crash on trainer activation you should activate the trainer INGAME, not at main menu! Unlimited Quickslot Items: While active the items in your quickslot bar remains unlimited. Perfection Relationships: While active open the relationship screen. Unlock All Inventory Slots: Press hotkey and open your inventory to see all slots are unlocked. Change Money: Press hotkey and open your inventory screen to see it has changed. Refill EXP To Next Level Up: Press hotkey and your EXP will be set closely to needed EXP for next level up. Now gain at least 1 EXP in the game to level up. Skill Points: First open your character screen where your skill points are show. Press hotkey close and reopen the character screen to see it has changed. Free Crafting: While at crafting table active this option and you can craft everything. If you have the required materials they will get removed, if not nothing happens but item gets crafted. DO NOT USE THIS OPTION ANYWHERE ELSE! Easy Taming: While active start tame minigame and you instantly succeed.